Argentium® Sterling Silver is a silver alloy containing germanium. This high quality silver alloy is tarnish resistant and maintains its beautiful luster and shine. 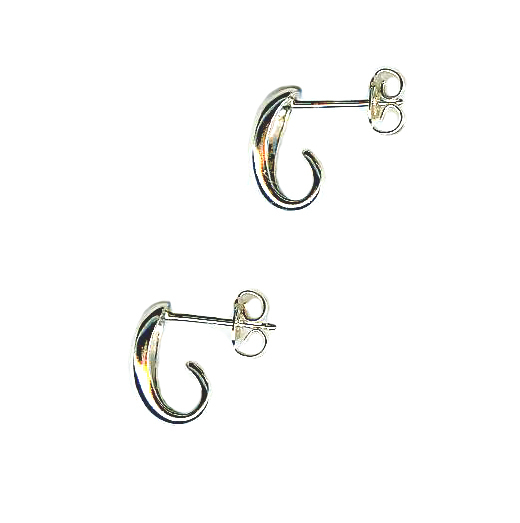 These earrings are manufactured in the USA and are nickel free. Composition is silver, copper and germanium. 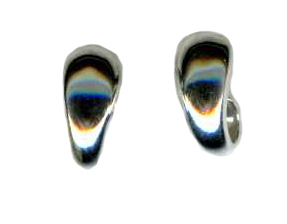 While many of our customers, who have tested these earrings have not had an allergic reaction to this silver alloy, including customers who have only been able to wear titanium earrings, we recommend Dirinda's pure unalloyed titanium earrings for those with severe metal allergies since her titanium earrings are truly nonallergenic. The curl is approximately 1/2 inch in length and 1/4 inch across the widest front of the curl. A delicate and lightweight post earring with beautiful shine.